Sourcing and Sinking terminology is used when connecting solid state DC electronic devices together to make a functioning DC circuit. – The sourcing (typically using a PNP transistor) device is connected between the positive voltage and the sinking device. 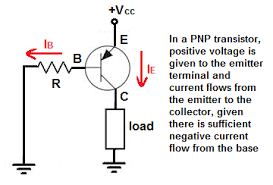 – The sinking (typically using an NPN transistor) device is connected between a sourcing device and the negative (or common) voltage. A typical Sinking and Sourcing Digital Circuit using NPN transistors. 1. Some manufacturers identify their devices as sourcing or sinking to indicate what type of device to connect to their device which can lead to some confusion. For this reason I will ask for a drawing of the input or output circuitry of any new DC devices to make sure the two devices can be connected correctly. The image in this post is one such example of the type of wiring diagram that might be supplied. 2. 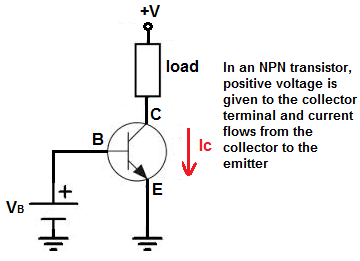 Note from the image that both the sourcing and sinking output uses an NPN (also often referred to as a sinking) transistor in this example. This is another reason to get a drawing to make sure that current between the two (2) devices flows in the same direction. The above image shows the “load” as a resistive element. However this can be a solid state device (such as a transistor that turns on when the output is “on” to turn on say a solid state relay). In this case the current must flow in the direction of the arrows on the two (2) transistors when connected together in order to work. This is an oversimplification as additional conditions to make a circuit also apply. However that is the main difficulty with attempting to wire together either 2 sourcing or 2 sinking devices – you can’t get the current to flow in the same direction. Final Note: It is sometimes possible to connect two (2) sourcing or sinking devices together using pull up resistors. This gets even more involved, so I’ll leave this discussion for a possible future article. I updated the article to correct this. Thanks.